I was just as pissed off as everyone else about the news over in Ferguson, Missouri. 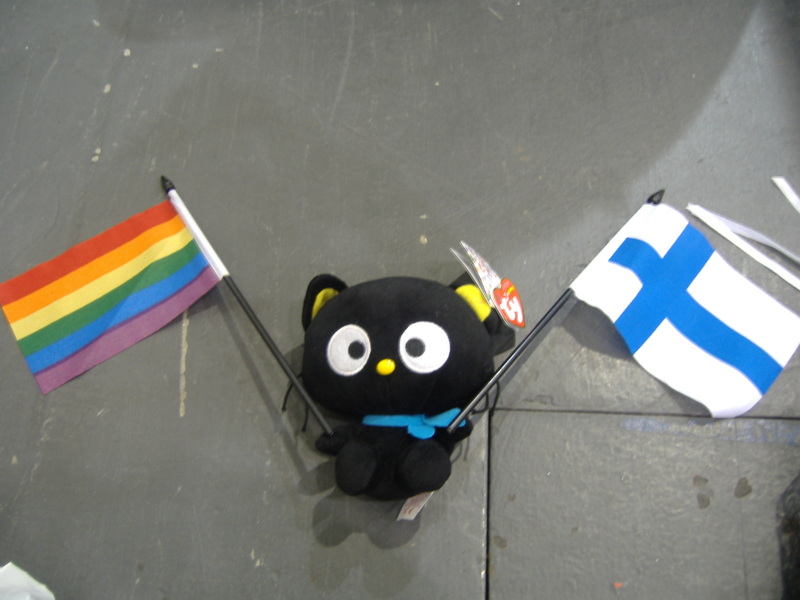 While that is an important news story, I was so focused on it that I didn’t even realise that gay marriage was legalised in Finland yesterday! Don’t ask why Chococat is in this picture. He just is. It’s not a huge story in the international media, but it is still a very big deal. With the news of police brutality, bombs in Nigeria and Putin preparing for war, it’s always nice to have some good news for once. I feel very proud of the country I live in right now.